Nemesis is the Greek goddess of revenge. Let our Nemesis bracers protect you while getting your revenge! 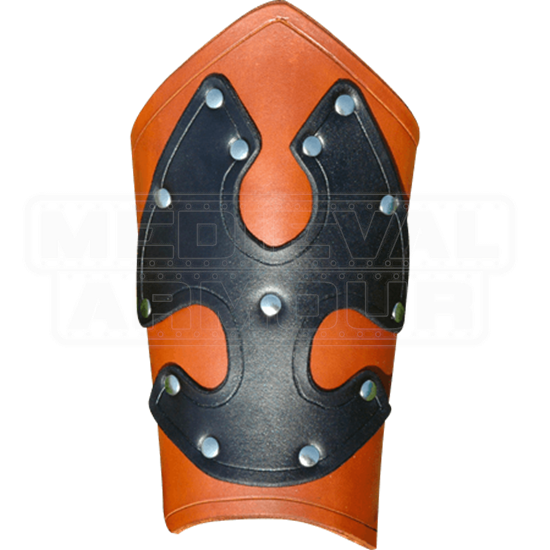 Our Nemesis Bracers are made of armor grade (13/15 oz.) leather with a 7/8 oz. leather design riveted on. They are available in many different color combinations, and we recommend picking contrasting colors for the best look. 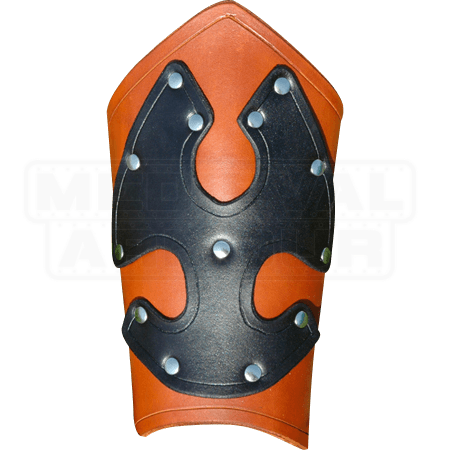 The top design will be the same size for both sizes of bracers.